When considering a visit to the chiropractor, you may be asking friends and relatives for input about your options in seeking treatment. And although you may be provided with some helpful answers to your questions, beware of misinformed facts about chiropractic care that may influence your decision to look elsewhere. Like all practices, there are good and bad providers in every field, whether you go to see a medical doctor or a chiropractor. 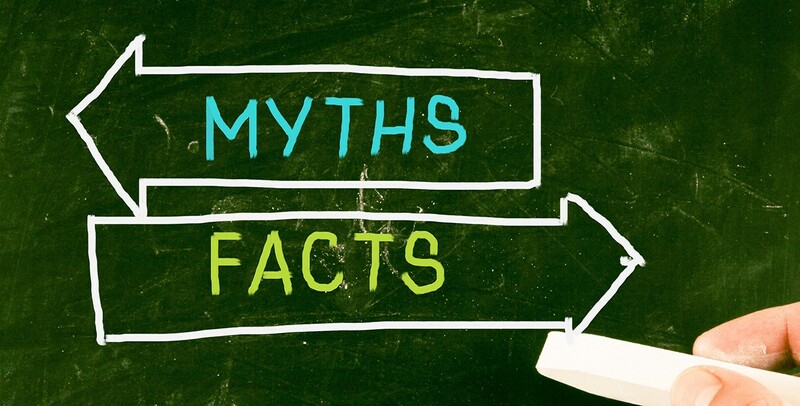 Here are 4 myths about chiropractic care, and why you should politely pass up advice from those who use them to justify skipping a trip to the clinic to see your local chiropractor. Some past studies have previously linked neck adjustments to artery damage, which can lead to a stroke. However, this association has been proven to come from patients requesting work on neck pain and headaches which are cause of being prone to a rare form of stroke known as vertebrobasilar artery (VBA) strokes. Therefore, it is more common for patients of primary care providers to have a VBA stroke than patients of chiropractors. It is very important to let your chiropractor know if you have a family history of strokes during your primary evaluation. If you are seeking help from a chiropractor to treat a localized source of pain, you may find that any movement of that area of your body will also seem just as painful. Like a massage, chiropractors will put pressure on these sources to adjust your discomfort, which immediately reduces the pain, leaving you feeling relieved. Your chiropractor is trained to communicate with you verbally and non-verbally during this process; listening to your body and your words on how best to perform these adjustments. They are happy to clarify any questions you may have about the process. It is important to remember that your chiropractor has three goals in mind when treating you: relieving you of your pain and discomfort, bringing the area of damage back to functioning properly, and making sure you are healthy and ready to move forward. Depending on the type of injury you have sustained, your chiropractor will make sure to see you for as many adjustment sessions needed to complete all three goals. If you have a condition that has taken years to develop, you may need more time receiving hands on care in order for your muscles, joints and ligaments to fully respond to the corrective treatments. It is also important to note that many people, mostly athletes, or those who partake frequently in an activity that uses repetitive movements, visit their chiropractor for maintenance care, as to prevent problems from arising. It is understandable that you may have some questions, especially if you are in pain, for a friend who has just explained to you that his visit to the chiropractor involved getting his back “cracked." This term refers to the sound of gas bubbles being released from the joints which your chiropractor is manipulating. Think of this as part of the whole process of becoming well again. As well as “cracking” your joints, your chiropractor will commonly use stretching and massage to return you to your former state of health.